"Bugs" redirects here. For the crawling things, see True bug. For other uses, see Bug. 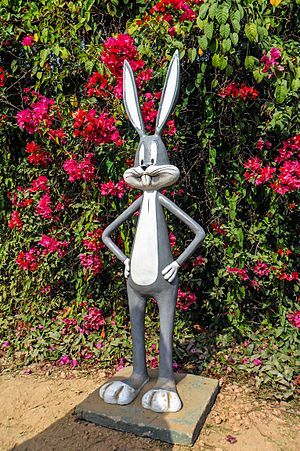 Statue evoking Bugs Bunny at Butterfly Park Bangladesh, Chittagong. 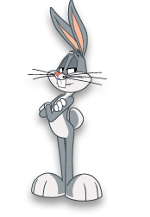 Bugs Bunny is an Academy Award-winning animated rabbit who starred in the Looney Tunes and Merrie Melodies series created by Warner Bros. He made the phrase "What's up, Doc?" popular as early as 1940. Other things he says are "I knew I shoulda taken that left turn at Albuquerque", "Of course you realize, this means war", and "Ain't I a stinker?". He is often seen as a very studious character, with a carrot in his mouth. 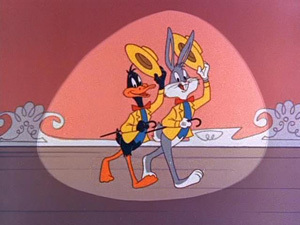 His counterpart is commonly Daffy Duck, with whom he is usually arguing. In other movies, he comes up against Wil E. Coyote or Yosemite Sam. Bugs speaks with a Brooklyn accent (and usually a mouthful of carrots), causing him to drop his "Rs". 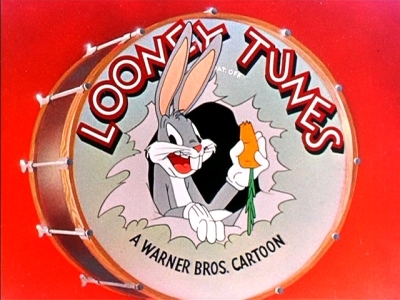 Bugs is somewhat based on the comedian Groucho Marx. 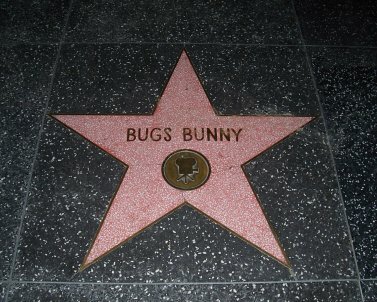 Bugs is one of a dozen cartoon characters to have a star on the Hollywood Walk of Fame; he was the second after Mickey Mouse. A depiction of Bugs' evolution throughout the years. 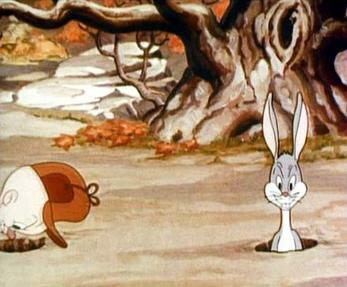 Bugs' first appearance in A Wild Hare (1940). Bugs Bunny Facts for Kids. Kiddle Encyclopedia.